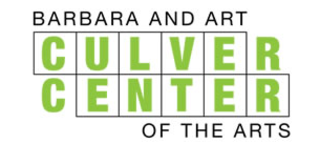 Opening in October 2010, The Barbara and Art Culver Center of the Arts will be an interactive art facility housed in the renovated Rouse Building, a magnificent 1895 department store. The Culver Center will extend the vitality and community interactivity of UCR/California Museum of Photography and Sweeney Art Gallery by providing new exhibition space; a new home for the Sweeney; an 80-seat film and video screening room; an atrium gallery for installation, music, and performance under a magnificent 35 foot high naturally illuminated clerestory monitor; a public café; a new seismically protected home for the UCR/CMP’s world-treasure Keystone-Mast glass plate stereo collection, supported by a Federal Government’s Save America’s Tresures grant; and an advanced faculty and student laboratory for advanced research in the arts.. The lower level basement facilities of the Culver Center are devoted to collections, archival preservation, and exhibition, performance, and adminstration support including a fabrication workshop, a conservation room, administrative offices, and materials storage. The Culver will be equipped with state-of-the-art technology systems. It is an architectural synthesis of an 1895 building with today’s most advanced digital technology. The Culver Center will become a major architectural feature of Riverside’s downtown Historic Arts district. This area includes a number of architectural gems of the late 19th century and early 20th century including the Mission Inn (1902); Julia Morgan’s Riverside YWCA (1929) which now houses the Riverside Art Museum; the Fox Theater (1929), which was the home of the premier of Gone with the Wind and has now been newly renovated into a 1,600-seat performing arts center for Broadway-style shows; the Municipal Auditorium (1927) which was the city’s First World War Soldiers’ Memorial Building; and the art deco Kress Dime Store (c. 1925) renovated by architect Stanley Saitowitz in 1986 into the UCR/California Museum of Photography.